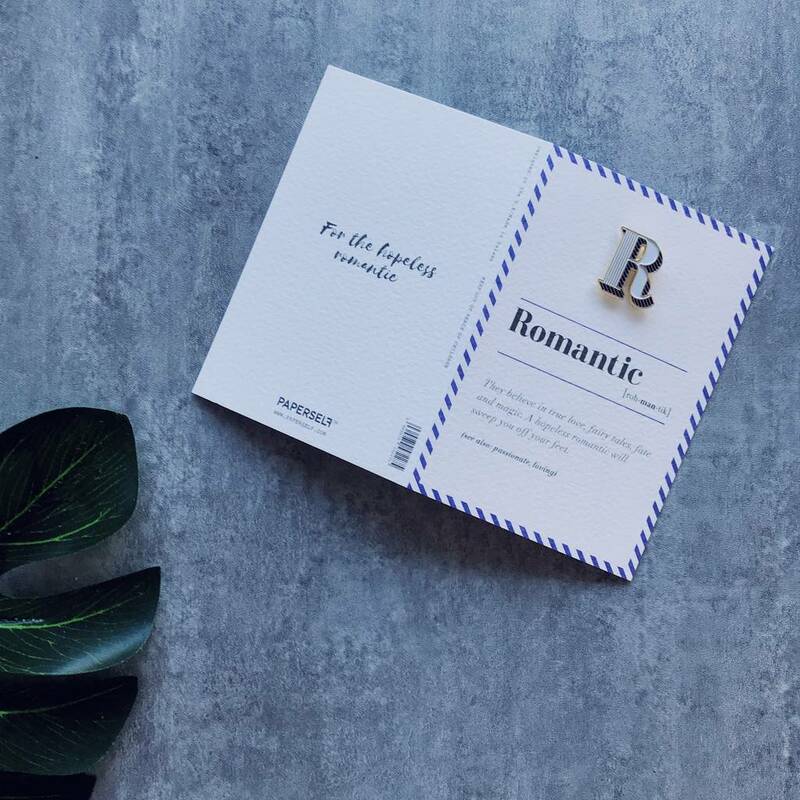 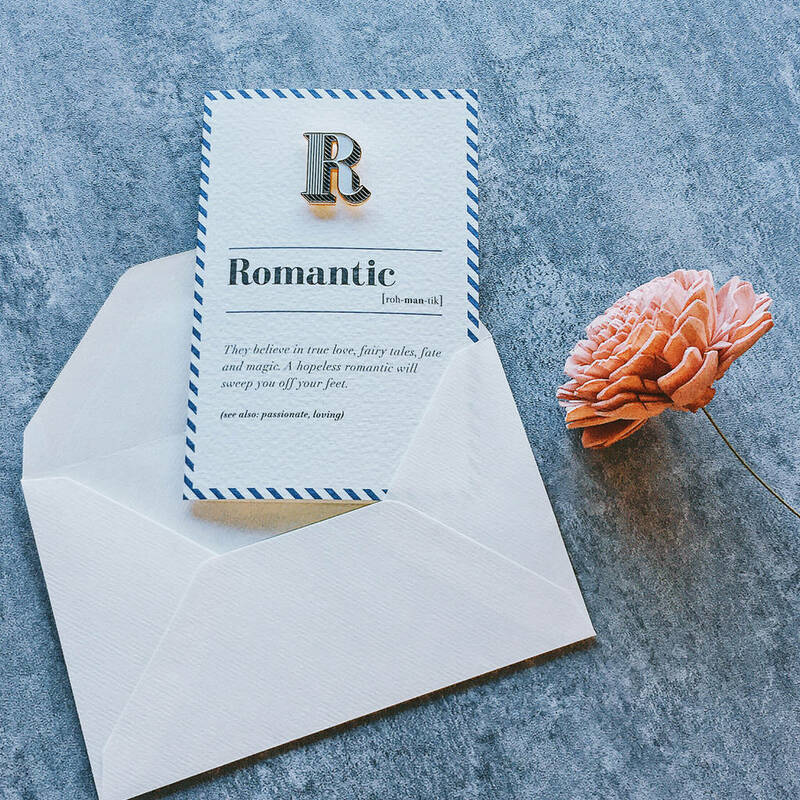 Letter R enamel pin badge and Romantic greeting card! 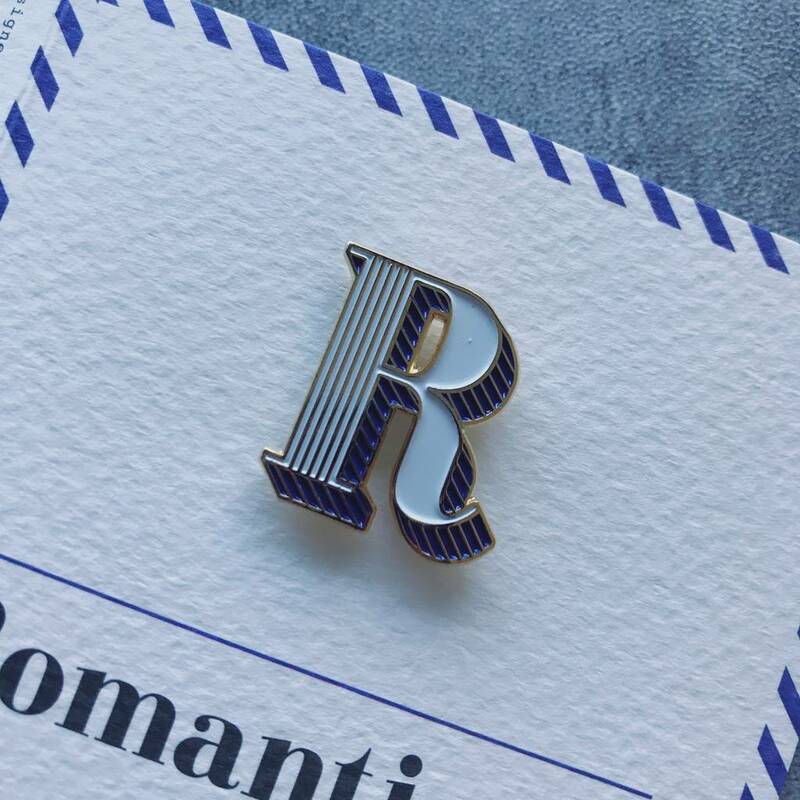 This luxury letter ‘R’ enamel pin badge comes with a personal greeting card making it the perfect gift for a friend or pin collector! 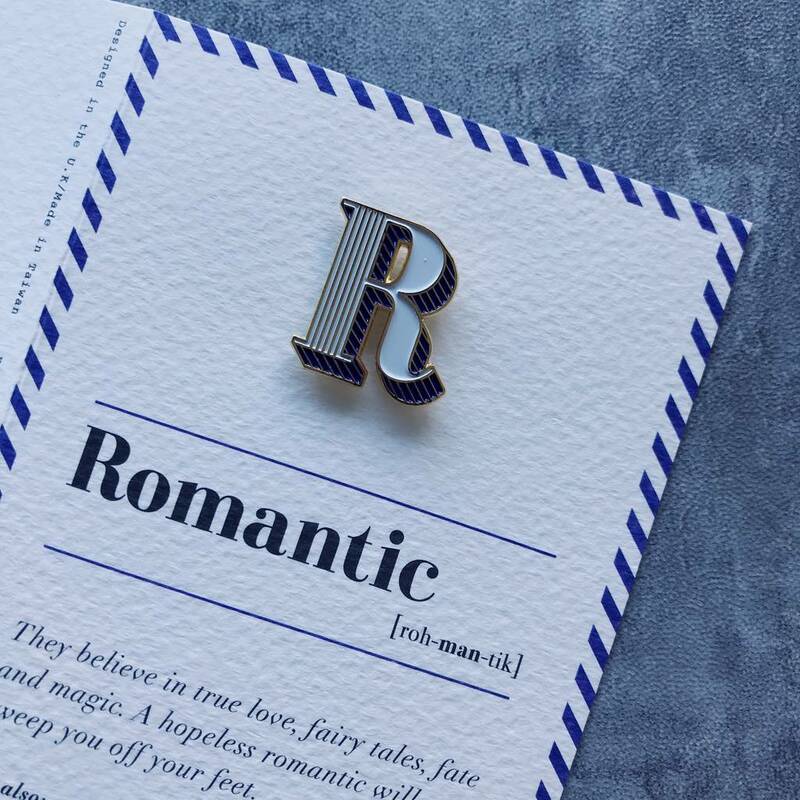 They believe in true love, fairy tales, fate and magic. 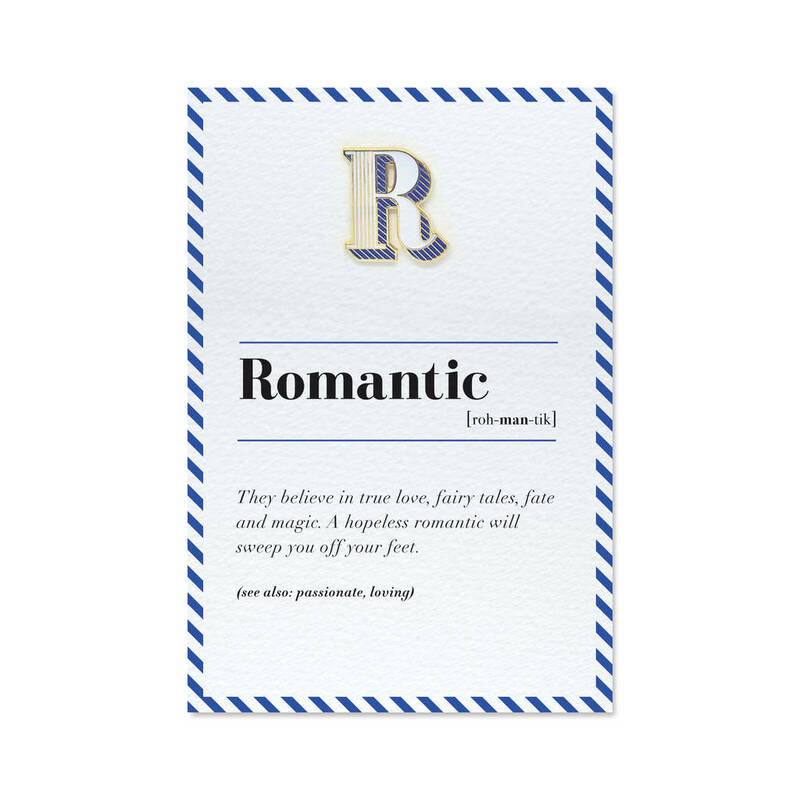 A hopeless romantic will sweep you off your feet.